Ecommerce merchants are used to figuring things out on their own. But they don’t have to. Podcasts offer easy access to ecommerce veterans with helpful information on the pitfalls and triumphs in growing an online business. 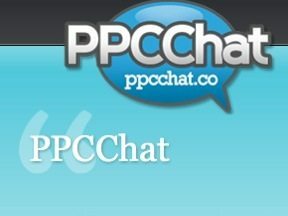 Here is a list of useful podcasts for ecommerce merchants. 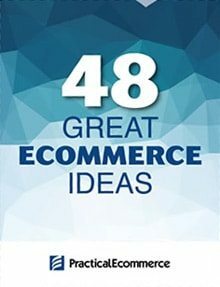 Most of the podcasts center on ecommerce professionals, providing practical tips and strategies from industry experts. Some of the podcasts focus on startup entrepreneurs creating innovative businesses. 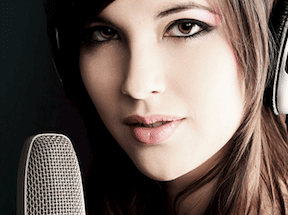 All of the podcasts regularly produce new episodes — weekly or even daily. 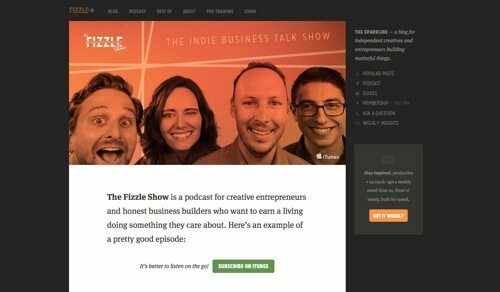 The Fizzle Show is a podcast for creative entrepreneurs and honest business builders who want to earn a living doing something they care about. The blog and podcast is from Fizzle, a site for honest business training and a community of entrepreneurs who won’t let you quit. A new show is released every Friday. Recent episodes include The Art of Low Competition Business Ideas, 9 Stage Small Business Roadmap, and More Buzzy Marketing Tactics. 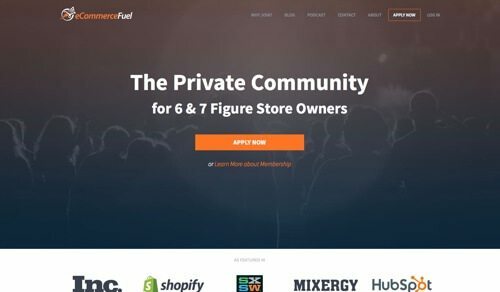 eCommerceFuel was founded by Andrew Youderian, an ecommerce entrepreneur who recently sold one of his ventures, TrollingMotors.net, while chronicling the sales process. He’s also a co-author of The Ultimate Guide to Drop Shipping. 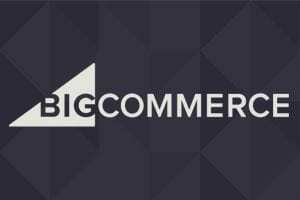 The eCommerceFuel podcast focuses on tips, strategies, and stories to help online merchants take their business to the next level. Recent shows include Supercharging Growth with a Fine-Tuned B2B Sales Process and How To Buy & Run a Store Using Other People’s Money. 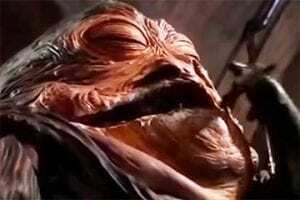 My Wife Quit Her Job. 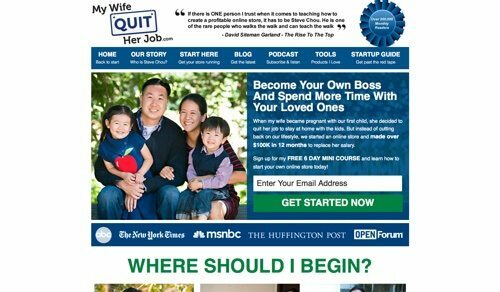 Steve Chou and his wife Jennifer created MyWifeQuitHerJob.com to document their experiences and strategies starting their online store BumblebeeLinens.com. The podcast is an interview-based show with small business entrepreneurs who started their own ventures to improve their lifestyle in some way. Recent podcasts include How To Buy An Ecommerce Store And Triple The Profits With Dana Jaunzemis and How To Make A Million Dollars In 21 Days Selling An Online Course With Amy Porterfield. 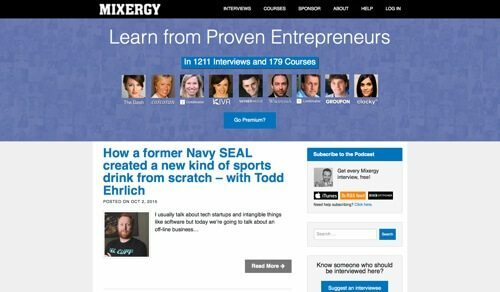 Mixergy is a place where successful people teach ambitious upstarts. The site was started by Andres Warner, who, with his brother, created a system that enabled designers to create shareable electronic greeting cards. 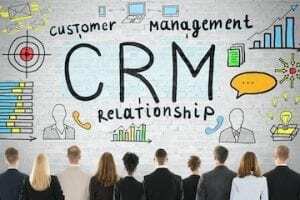 Listen to experienced entrepreneurs like Gregg Spiridellis, who watched his company, JibJab, get reduced to almost nothing and then turned his business around. Recent episodes include How StickerJunkie is selling over 20 Million stickers a year and A case study: the framework for getting traction. 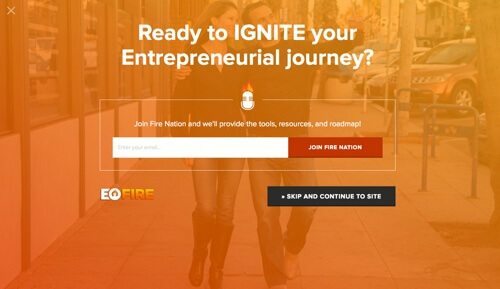 Entrepreneur On Fire is a daily podcast by John Lee Dumas for the serial entrepreneur or small business owner. Failure is part of every journey, so the first story shared is the guest’s biggest failure and lessons learned. The second story is the guest’s ah-ha moment and the steps taken to turn that moment into success. Each show ends with a lightning round of six questions to extract resources and actions steps for the listeners. Recent episodes include You’re sabotaging yourself, and here’s how you can STOP. 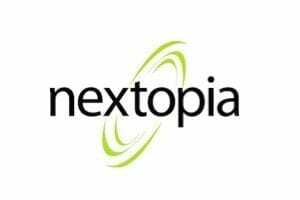 TropicalMBA is a site to help build profitable location independent businesses and connect with others who are doing the same. It focuses on the stories of the people who are building “micro-multinational” businesses while they travel the world. It’s a good show for those interested in entrepreneurship, travel, internationalization, and personal freedom. Tropical MBA publishes a new show every Thursday morning. Recent episodes include The One Where a Business Starts on the Show and The Power of Under Optimization. 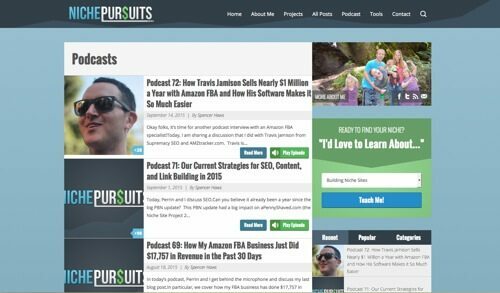 Niche Pursuits is by Spencer Haws, who started building niche websites (nearly 200 in 2010) targeting low competition keywords. He’s also the creator of the Long Tail Pro keyword research tool. The podcast is a useful resource for online merchants that are looking for practical advice and solutions on creating and running a niche ecommerce business. 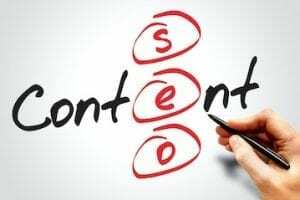 Popular episodes include How to Effectively Add Amazon Affiliate Links with WordPress, 53 Ways to Make Money From Your Website, and The Ultimate Guide to Creating a Product Comparison Table for Your Niche Site. 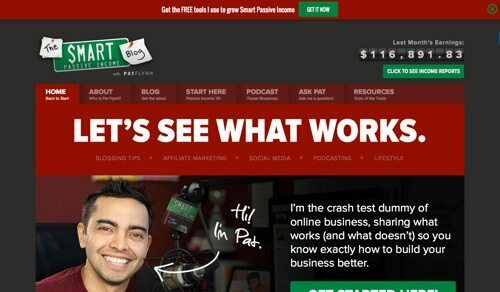 Smart Passive Income is a podcast and blog by Par Flynn, a family man from Southern California who went from getting laid off in 2008 to full-time online entrepreneur, earning more money and working less. 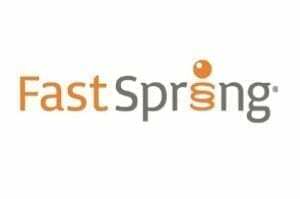 The mission of the site is to provide transparency and reveal the victories and obstacles of running an online business. Recent episodes include Two Woodworkers and How They Make A Full-Time Income From Their Craft and New & Underused Methods for Building Your Email List. 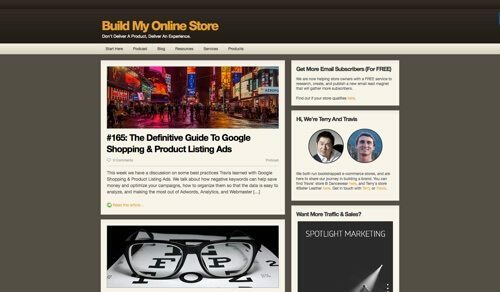 Every Sunday on the Build My Online Store podcast, Travis Marziani and Terry Lin talk about the latest in ecommerce and online marketing. Both run their own online stores and share their successes, failures, and what happens behind the scenes. In addition to the podcast and blog, the site also includes a list of helpful resources and available services for merchants. 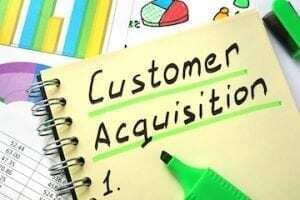 Recent podcasts include a two-part series, The Ultimate Checklist For Setting Up An Online Store. 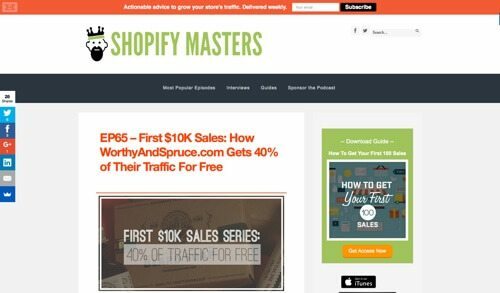 Shopify Masters is a podcast on successful Shopify entrepreneurs. 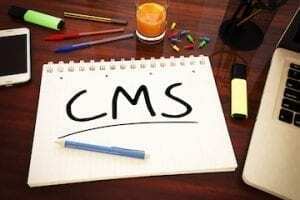 But the show is a valuable resource for any ecommerce merchant. Episode summaries include a helpful rundown of lessons learned and useful resources. Recent episodes include First $10K Sales: How WorthyAndSpruce.com Gets 40% of Their Traffic For Free and How and Why GroomStand.com’s Founder Sold His Last Ecommerce Store.